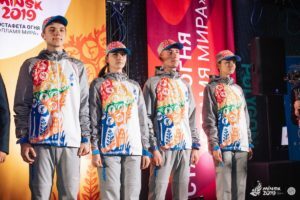 The Minsk 2019 torch and torchbearer uniforms were unveiled by Minsk European Games Organising Committee (MEGOC) in the Belarusian capital on 6 April. MEGOC presented the European Games Torch, the Torchbearers’ uniforms and the Relay route at an event at Teleport, Europe’s largest virtual reality theme park. The Torch, which was designed by Yulia Braychuk with specialists of Novogrudok Gas Equipment Plant, embodies the concept of inspiring to dream and hints at the mysteries of Belarusian nature. While the uniforms will feature traditionally light colours, symbolising peace and purity. “Since time immemorial, humanity has had an inexplicable craving for fire,” said MEGOC CEO George Katulin. “The ‘Flame of Peace’ will unite all European countries around a wonderful holiday, turning it into the brightest event of 2019!”. The Torch weighs 1.7 kilograms and has a height of 81 centimetres, with the weight designed to make running with the Torch very comfortable. There is also the possibility to attach the Torch, which is made of stainless steel, to a bicycle or wheelchair. Four-time Olympic fencing champion Elena Belova, actor and film director Vladimir Gostyukhin and Paralympic swimmer Alexey Talay were among the honourable guests attending the event. The Flame of Peace will be lit on May 3 at the historical Ara Pacis in Rome. 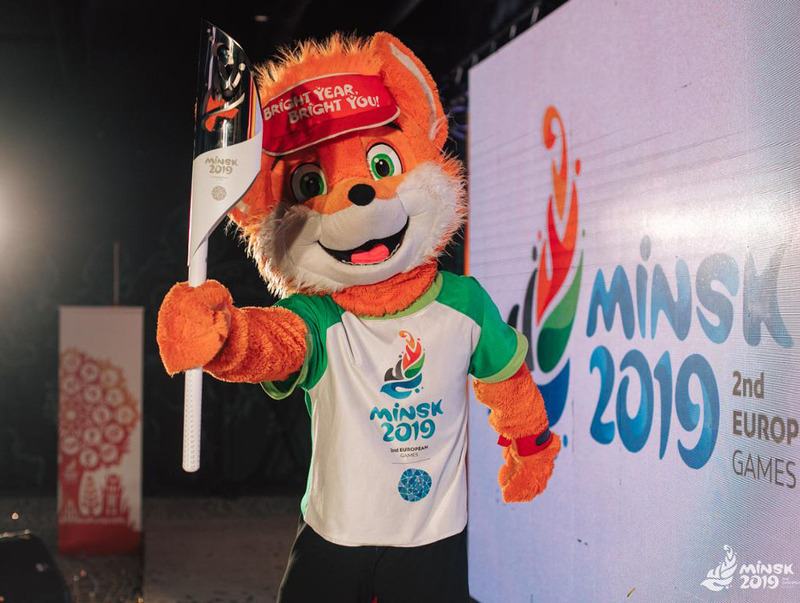 From there the relay will start and last 50 days, concluding with the lighting of the Olympic cauldron at Dinamo Stadium in Minsk on June 21 at the Opening Ceremony. Around 55 locations will be visited by the torch, with Italy, Slovakia, Slovenia, Hungary, Austria, the Czech Republic and Poland among the countries on the tour, before it arrives in Belarus. Mont Blanc, the highest mountain in Europe, will be among the landmark sights visited by the torch prior to its arrival in Belarus on May 12. The Relay is due to feature 450 Torchbearers, 100 volunteers and 10 flame keepers.